After high school I was searching for a career that I would be passionate about. I shared a conversation about this with a previous co-worker and she introduced me to her daughter who is a dental hygienist. After getting to know her better, I knew that a career in dental assisting was the right path for me! I recently graduated with honors from the dental assisting program at Gateway Technical College in Kenosha, WI. Since graduating I have been extremely excited to put everything I have learned into practice. Since I can remember, helping others has always been extremely important to me. 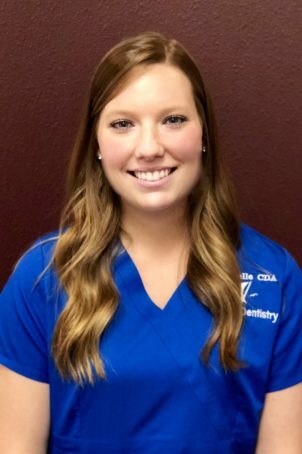 I feel that as a dental assistant I am able to help out each and every patient, by making sure they are comfortable, happy and any questions are answered. As a new member of Fulmer Dentistry I couldn’t be more happy. Outside of work I enjoy playing with my two dogs, spending time with family and being an auntie!